Dad discovers what we all already know - being Mum is the hardest job in the world! Dad discovers what we all already know – being Mum is the hardest job in the world! He’s just a dad, trying to be Mum for a while. And, if his first 16 hours on the job are anything to go by, then we are all in for a roller coaster ride of hilariousness. Meet the newest dad-on-the-Facebook-block who may not be winning any parenting wars at home, but is certainly making us all smile on social media. This is Brad Kearns. 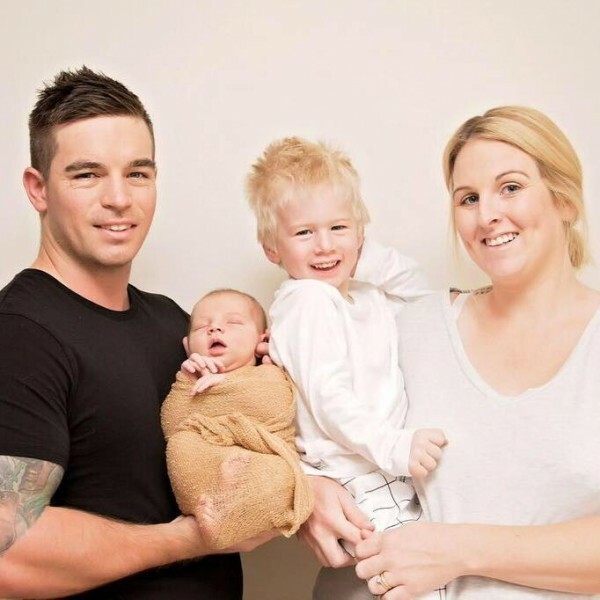 He is the typical working father from New South Wales, clocking in 40-plus hours a week at his fitness job and returning home to his wife, Sarah, and their sons, two-year-old Knox and newborn Finn. That is, until his lovely wife ended up in hospital and Brad, a former police officer, had to step in – and step up. Yes, it’s a pretty common scenario which most dads have done once or twice (or on a regular basis), but Brad’s rendition of his first 16 hours on the job will leave you laughing out loud. His struggle is real. And all too familiar. Brad starts his mum day at 5pm (after work) where his son communicates his desire to watch a DVD by “roaring” and the dad attempts to make dinner (two minute noodles) while deciphering why his newborn son is crying. His evening activities include “allowing Knox to place stickers on [his] (very hairy) legs,” and soothing a newborn every 1.5 hours on the nose until the sun comes up. But the fun doesn’t end there. Oh no. It’s just beginning. Day two brings an eventful round of domestic duties. “And by that I mean I spent the next 2 hours in the lounge room holding Finn, in a spiral of insomnia induced hallucinations allowing Knox to help himself to an assortment of fruit sticks, K-Time Twists and Sa-Ka-Ta’s until he eventually retreated to his train set,” Brad writes. While Brad had already clearly admitted defeat to himself, it’s an impromptu visit from his mother-in-law which really sealed the deals. Brad’s honesty and humility has caused quite the social media stir. He posted his story (and an adorable photo of himself and Finn) only a few short hours ago and it has already been shared close to 10,000 times. The unexpected response has resulted in Brad starting a Facebook page, DaDMuM where he will continue his role as Domestic Dad (and recount his day to other parents) until his wife returns home. Good luck Brad. You’ve got this. Check out some of our other favourite social media parenting moments, such as this chicken nugget dinner debacle, this mum’s honest account of what parenting is really like and this dad’s hilarious conversations with his daughters.